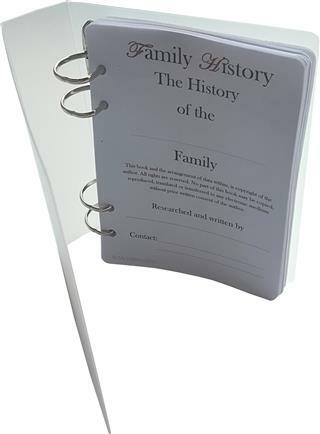 Loose leaf book pages for you to write up your family history. Insert into a springback binder, available in white, cream or parchment. Handy little journal, Great for recording family histoy while on the move.